Corporate social responsibility (CSR) is about integrating societal concerns into a company’s identity, allowing it to act as a corporate citizen that stands for more than making a profit or reaching sales quotas. This mouthful of a phrase has steadily become one of the most important business practices today. In fact, you would be hard-pressed to find a successful company that hasn’t, in some way, delved into the world of CSR. Sustainability, hunger alleviation, and charitable donations are a few examples of CSR practices utilized by organizations worldwide. Doing “good” in the world has become more than just a trend that consumers are interested in. Consumers often make their purchase decisions based on a company’s CSR efforts. It is for that very reason that CSR is an important part of public relations. Forbes recognizes PR as a fundamental tool involved in shaping a company’s identity. The implementation of CSR programs by PR professionals can set a company apart from its competitors. TOMS Shoes is my favorite company that’s mission literally revolves around its CSR programs. Its “One For One” creed dictates that every single product purchased by consumers will help someone in need. This approach gives customers the guarantee that if they shop with TOMS, they will ultimately do good for someone else. Locally, MADI Apparel of Kansas City takes a similar approach. 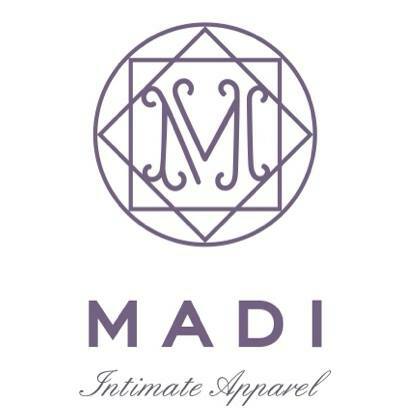 For every pair of MADI underwear sold, the company donates a pair to a woman in need. Additionally, its products are made with organic, sustainable fabric – corporate social responsibility at its finest. Apple is another company that just gets it when it comes to CSR. Its dedication to sustainable business practices is no joke. As a mass producer of electronic software, Apple takes every step necessary to ensure that its carbon footprint remains as small as possible. When a company dedicates itself to doing good in the world, it bolsters the brand in a way that isn’t easily accomplished otherwise. Consumers are much more likely to get behind an organization that represents itself not only as a money-driven corporate entity, but as an active, caring member of the world community. Socially responsible companies offer the world more than just the latest greatest product of choice; they offer the world a helping hand and sometimes that’s the best gift they could give. For more from Innovative PR, check us out on Facebook, Twitter, and Instagram.